PHD Terrace in Dream Midtown's Aperitivo Tuesdays is an evening of cocktails and music. 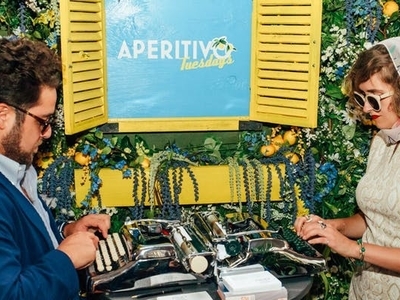 Join the new launch of their Cortina Edition for a taste of Italy every Tuesday with Aperol Spritz, 1960 tunes and complimentary bites offered by PHD Terrace Midtown! A DJ will spin the jams, and the crowd is predictably stylish.